Market wrap: “Yesterday's market was in many respects the most extraordinary in the history of the Stock Exchange.” Market opened with wholesale liquidation of margin accounts due to yesterday's late plunge. Trading in first 30 minutes was over 1.6M shares, and pace didn't let up as session progressed; final volume was 12.895M shares vs. previous record of 8.247M. Market was in chaos by noon, with the Exchange facilities overwhelmed; brokers were flooded with orders and the stock ticker rapidly fell behind to the point of being worthless. Almost all active stocks had wide breaks in price. Selling became so panicky in the noon hour that a conference of the heads of Wall Street's largest banks was called at the J.P. Morgan offices. Following this, the market decline stopped, and then a substantial rally began that was sustained to the close. Banks in the meeting at the Morgan office included Chase Nat'l., National City, Bankers Trust, and Guaranty Trust. Shortly after the meeting, support appeared in leading stocks, followed by active bidding up [Note: According to John Train's account, this was Richard Whitney's moment of glory; cutting a dignified, patrician figure, he entered the Stock Exchange and strode calmly through the pandemonium from broker to broker, placing huge buy orders above the market.]. Street estimate was that as much as $1B in banking support had entered the market. Major Exchange houses also called a meeting, for after the market close. Some examples of stock price movements during the session: US Steel from 204 to 193 1/2 to 206, GE from 314 to 283 to 308; IT&T from 110 3/4 to 79 to 106; Radio from 68 1/2 to 44 1/2 to 58 1/4; Montgomery Ward from 83 1/4 to 50 to 74. NY City Mayor Walker to be presented with 20-year, $1B program for city traffic relief drawn up by Day & Zimmerman; centerpiece is $200M tunnel under Fifth Ave. to run length of Manhattan. Carnegie Foundation for Advancement of Teaching calls commercialism in college athletics involving subsidies to university football players the “darkest single blot on American college sport”; names a number of leading universities. Editorial: Proposal of the rail unions for a 6 hour workday is dubious. Unemployment is a grave concern; “its existence is a serious blot upon our record as business people.” But what is to be accomplished by this proposal? If it's to force hiring more workers, then “to put two men on a piece of work which can be done by one is not 'finding employment' for anyone; it is in effect a form of dole.” If it's to get a pay increase for those already working through overtime, how can this be justified at a time when a lower cost of living is raising real wages? Railway execs not receptive to union movement for 6 hour day with no cut in pay; Illinois Central and Atchison presidents call it impractical and unaffordable. B. Anderson, Jr., Chase Nat'l Bank economist, says Italy dealing with depression relatively well; production down less than US and rest of Europe, no apparent need for foreign credit, and stock market decline more moderate than US and Britain. Berlin Mayor reports $20M city budget deficit due to unemployment payments and lower revenue; unable to pay salaries next month without short-term loan. British House of Commons committee on ministerial pay recommends raising PM MacDonald's salary $10,000 to $35,000 due to high upkeep at 10 Downing St. Residents of Quito, Ecuador petition govt. to lease Galapagos to France, Germany, or Japan as alternative to selling to US due to financial crisis. Pres. Hoover to appoint timber conservation board with similar purpose to the existing oil conservation board. M-K-T Railroad boasts sterling safety record: no passenger deaths in past 12 years during which it transported over 50M passengers a total of about 4B miles. Henry Ford returns from 10-week European trip; refuses to comment on trip, saying his remarks abroad had been misrepresented by the press. Market wrap: Leading stocks started to rally early, and continued with only minor interruptions for most of the session. Bulls found this particularly encouraging since the main body of stocks resisted a bad break in rail stocks connected with the Van Sweringen brothers, including the Alleghany, Pere Marquette, and Chesapeake & Ohio. Majors including US Steel, American Can, and GE staged strong recoveries from recent lows; the general list also acted well. Continued pressure on the Van Sweringen stocks held the general recovery in check, but some gains were sustained into the close. Bond market irregular but mostly higher; South American higher, other foreign and US govts. steady; convertibles higher, corp. mixed but generally higher; Van Sweringen-related bonds down sharply. Fed. Reserve reports money in circulation Oct. 22 down $50M to $4.450B, total Reserve Bank credit outstanding down $52M to $992M. Member banks in NY City report brokers' loans down $139M to $2.613B vs. $6.634B in 1929 and low since Nov. 1926, “all other” (commercial) loans down $39M to $2.496B. Electric output by US light and power industry for week ended Oct. 11 was 1,710 GWHr vs. 1,704 in prev. week and 1,772 in 1929. 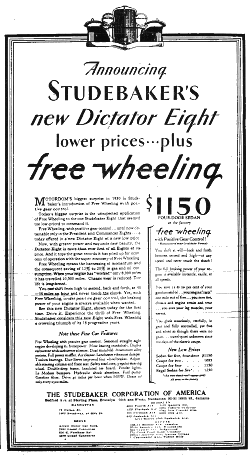 H. Firestone, VP of Firestone Tire, estimates 55M tires sold in 1930 vs. 70M in 1929; sees heavy replacement business in 1931. Fla. Supreme Court rules for bondholders, orders West Palm Beach and Hastings to pay interest due this year. Companies reporting decent earnings: national biscuit, General Foods, Hershey, almost all major meat packers (Armour, Swift, Wilson), Bon Ami, Apex Electrical Mfg., S.R. Dresser (pipe fittings and couplings), General Printing Ink. US bankers almost universally disagree with Macauley proposal for Fed to buy govt. bonds in order to stabilize prices; say problem is not one of lack of credit, since rates are already around 2% - “you cannot make a man borrow money even at low interest rates unless he can find profitable use for the money”; believe it's not province of Fed to establish price levels, which should be arrived at naturally. Banking opinion on what is causing the depression varies widely, with factors cited including over-speculation, “maladjustment in price and wage situations” relative to production, tariffs, reparations, foreign debt, etc.Only banker quoted in favor of the proposal is E.W. Edwards of Fifth Third Union Trust. Mexico plans to restrict imports to $25M/year to stabilize its silver-based currency. Navy General Board Recommends 10-15 year, $750M-$1B building program to bring US Navy to full strength allowed under London Naval Treaty. J. Eastman, ICC member, criticizes setting of rail and utility rates based on “fair value” of property, says should be based on ability to attract needed capital. R. Taylor, former ICC member, criticizes Transportation Act as vague on rate-setting (using “just” 48 times and “reasonable” 66 times without defining either); suggests asking rail officials for proposals on rates, says restoring confidence in rails would relieve depression generally. C. Morris of Western railways committee criticizes govt. payment for waterway development and maintenance, allowing unfair competition with rail transport. Wets are making much of the fact that the Keeley Institute for treating alcoholics now has 500 patients, more than ever before. However, this is deceptive; an investigation by the Women's Christian Temperance Union shows that of 148 institutes of this kind operating before Prohibition, 105 have closed their doors for lack of business and the remaining 43 have been converted into general hospitals admitting occasional alcoholics. Size of short interest now a matter of debate; main indication is in the market for loaning stocks to short sellers, but some say supply of stocks for loaning is being artificially restricted. Brokerage houses seen studying possibilities of fixed investment trusts (similar to ETF's) due to their increased popularity since the fall panic, as the managed trusts (similar to mutual funds) that they normally sponsor have fallen out of favor. Meanwhile, failure of some brokers is causing problems for trusts they sponsored due to intertwined dealings; this is causing talk of new regulation. Prof. S. Livermore of the Univ. of Buffalo finds that investment trusts largely confine their holdings to a small group of the largest US stocks. In a wide sample of trusts, only 4% of stocks were foreign. For managed trusts, 45% of holdings were in 100 leading US stocks; for 10 leading fixed trusts, 40% of holdings were in 15 stocks, including AT&T, American Tobacco, GE, US Steel, etc. Some commentators who were advising caution at the market peaks last year are now advising bears against overstaying their position. Bulls traders complain the market since Sept. 10 has been the worst for making money since last Oct. since there have been so few tradable rallies; many are now stuck with stocks bought many points above current prices. Conservative observers say technical rally was anticipated, but note resistance, continue to advise staying on sidelines. Substantial amount of selling to establish tax losses still seen in the market. Commodity and stock prices have diverged since Oct. 10, with the Dow plunging from 198.50 while most commodities up or at least steady above yearly lows. Commodities mixed. Wheat up slightly, falling back after sharp early rally; other grains down. Cotton up sharply. Copper being offered by some small producers at 9 1/2 cents/pound while most still hold at 10 cents (record low was 9 cents in the 1890's). Dow average of eight finished iron and steel products was $44.70/ton vs $44.70 prev. week, low for 1930. Scrap down in Midwest markets, steady in East. US Steel Q3 net expected about $2/share vs. $3.02/share in Q2 and $5.57 in Q3 1929; will cover dividend requirement, but a hoped-for extra dividend is seen as unlikely for some time. Other steel companies expected to do relatively worse, with a number expected not to cover dividends in Q3. Bank of France gold holdings now over $2B, up $40M in week ended Oct. 17; “will someday be used as a powerful weapon to restore Europe to prosperity,” when France begins lending its tremendous reserves out. Cuban govt. and sugar growers begin to implement plan to buy 1.5M tons of the sugar surplus currently in storage, and sell it gradually over the next 5 years. Antwerp diamond cutting industry Sept. figures show 3,820 out of 14,279 cutters unemployed; number of working days has been cut from 15/month to 3/week. Deere (farm equipment) stock about 5 1/2 times estimated 1930 earnings. Consolidated Film preferred stock about 18, pays $2 annual div., callable at 35, earned $7.96/preferred share in 1929 and $3.10 in first half. Colgate-Palmolive-Peet says foreign units all profitable in 1930, combined net will be above 1929; co. is largest seller of toilet soap in 48 countries. Market wrap: Bears resumed aggressive operations, “combed the list during the morning for issues in a weakened state,” attacking Bethlehem Steel, Hahn Dept. Stores, Hayes Body, and others. Selling spread to the main trading stocks in the noon hour, picking up momentum on increasing volume as the afternoon progressed; many stop-loss orders hit; leaders including Radio, US Steel, GE, and Westinghouse broke sharply. “Selling took on a panicky character” in the final hour; “pandemonium reigned around the posts at which active stocks were traded”; 2.6M shares were traded in the final 50 minutes, or about 40% of the total day's volume of 6.4M; the tape ran almost 2 hours behind and price breaks were exceptionally wide. Prof. I. Fisher of Yale Univ. defends stock market rise of 100% since 1923, says based on increasing prosperity due to many factors, including more stable money, new scientific management, new inventions, Prohibition [Note: huh??? ]; believes public speculative mania is least important factor in the rise. Concludes by criticizing capital gains tax. Bond market has been rallying as stocks decline recently. Some commodity prices: Wheat over $1.25, corn over $0.90, cotton 19 cents, copper 18 cents. Rail freight loadings for the week ended Oct. 12 were down 11,121, or about 1%, from 1928, vs. 7,985 decline prev. week. Steel trade reviews report decline in production appears to have hit bottom, with all departments except automotive active. Senate refuses to classify avocado as pear for tariff purposes. Editorial: The cynical might dismiss the new Hoover unemployment efforts as just a continuation of last fall's business conferences, with their dubious results. However, the attitude now seems different. Last fall, there was much enthusiastic publicity and overconfidence; now, the committee is being discreet and seems to understand hard work is needed with local govts., and with corporation leaders not “as amenable to the presidential mandate” as last fall. A renewal of efforts to stimulate employment “by all safe means” and to help “those least able to withstand” the depression is worthy of unstinted support from business and government. Vice Pres. Curtis and Pennsylvania Gov. Fisher endorse “buy now” campaign of Phila. Chamber of Commerce to help employment and trade. US and Canada railroad labor unions plan campaign for 6 hour working day with no reduction in pay, estimate would put 50,000 unemployed men to work. W. Edge, US Ambassador, says France “like an oasis surrounded by depression on all sides,” with unemployment practically nil; acknowledges differences with US on tariff, but “is this not always the case when two nations maintaining high protection barriers try to agree?”; says gold accumulation by France an internal matter. Dictaphone to introduce “Telecord” for recording phone conversations onto wax cylinders. Austin Co. to erect factory building with several new design elements: for uniform lighting, building will have no windows or skylights but be ventilated artifically and lit by hundreds of 1000-watt lamps supplying ultraviolet rays; walls and ceiling will be noise-absorbent; machinery painted orange, and walls blue, green, and white. Tiffany's, most famous jewelry store in the US, has no sign or other distinguishing mark on its Fifth Avenue storefront; strangers can only find it by its number (409). Market wrap: Leading stocks “follow highly irregular course.” Market opened “as though the bottom was about to fall out” on bad rail and steel news. US Steel plunged to lowest level since 1928; many other stocks sank below previous 1930 support. Another bad break seemed in store, but pressure abruptly lifted by end of the first hour and action greatly improved. Rallying appeared in leading stocks, and some trading favorites were up sharply; disconcerted bears helped the movement along by covering shorts. Sentiment may also have been helped by stronger grain markets.Trading again turned highly uncertain in the final hour, with renewed selling in much of the list. Bonds more active, irregular but mostly weaker; South Amer. turn lower; US govts. firm; corp. weak. Bear market is now worse than any in last 25 years; Dow is down 52% from Sept. 3, 1929 peak vs. 47% decline in 1921, 40% in 1917, and 45% in 1907. Some traders say upcoming Congressional elections may be weighing on the market. Extensive bargain hunting by small investors reported by leading brokers, with “outright purchases covering many sheets on the order books while selling transactions were confined to a few columns.” This was also reflected in steady gains in the stockholder counts for leading corporations. A. Reynolds, Continental Ill. Bank & Trust Chair., sees “signs in a good many different directions that business is picking up somewhat”; gains are uneven, not general; “improvement ... will probably come in this spotted way and gradually work into a more general betterment,” probably starting with small businesses and moving to large. Commodity prices relatively stable since July, seem to have bottomed. C. Sherrill, Kroger Grocery VP, says sales per store in Sept. were up vs. 1929 for the first time this year; since stores are largely located in drought areas and automotive industry centers, believes this reflects slight improvement in general US business. H. Stephens of Oakland Motor Corp. blames depression partly on high pressure and unsound selling methods in a number of industries, leading to consumer over-indulgence; remedies are delivering good value to consumers and readjusting production to sales; auto industry is essential to recovery, employing 4.7M workers. NY City banks showed decreased deposits on Sept. 14 vs. June 30, though many out of town banks showed increases; banks with highest deposits were Chase National $1.852B, National City $1.344B, and Guaranty Trust, $1.181B. Steel ingot production for week ended last Monday was at 52% vs.55% prev.week and 56.5% two weeks ago; US Steel was at 58% vs. 60% and 61%. Pennsylvania crude oil cut $.15/barrel to $2.40. Total transatlantic passenger traffic east and west bound up to Oct. 17 was 1.139M people, down 43,379 from 1929. Third-class passengers increased. Effect of Smoot-Hawley tariff on trade still uncertain. July, first month of tariff, saw trade decline, while Aug. and Sept. showed some improvement, possibly just seasonal. Eight countries have increased tariffs since July, but how many of these were retaliatory is unclear. Some may have been in response to economic trouble, for example in Argentina and Cuba. On the other hand, some were clearly aimed agains the US, such as European tariffs on US cars. The Foreign Policy Assoc. has surveyed effects of the Smoot-Hawley tariff on different countries; those countries most affected are the ones that raised tariffs. Pres. Hoover's unemployment commission to set up local organizations to cooperate with state and city govts. as well as industry; details of what is to be done will be left to local organizations, which know conditions better. Hoover has discussed unemployment with business leaders including GM Chair. A. Sloan, Westinghouse Chair. A. Robertson, and NYSE Pres. R. Whitney. Britain and France settle dispute about oil pipeline from Iraq to Mediterranean; pipeline will divide, one side running to British controlled Haifa and the other to French Tripoli; necessary $800M for building the line likely to prevent speedy completion. British cabinet seen against announcing temporary moratorium on war debts in spite of budget deficit; French public opinion seems strongly opposed to five-year moratorium on reparations and war debts. Phone system stats as of June 30: Total of 35.260M phones worldwide, of which 20.243M were in the US and 15.690M were in the Bell System; 88% of world's phones can be connected with any Bell phone; conversations per day in US in the year ended June 30 were 79.5M local and 3.580M toll; total phone wiring was 80.3M miles. Bell System had 358,000 employees on June 30 vs. 317,180 at end of 1929; 136,000 were men and 222,000 women. About 1M people own securities in AT&T and associated companies; over 500,000 AT&T shareholders own less than 100 shares apiece, with no shareholder owning 1%. Otis & Co. see market trying to form “a temporary base” even if prices headed lower; pointed out that even in the panic of 1907 no liquidating move ran as long as 6 weeks without an intervening rally or period of range bound trading. Experienced observers point out that a bull market in stocks has usually begun within 7 months of an upswing in bonds; it's now 13 months since the current bond upswing began; also note that never before in past 50 years have bonds advanced this far without a bull market starting. Also point to decline in short term interest rates as always having been followed by a bull market within a year. Based on brokers' reports, liquidation by public seems complete; however, liquidation due to pools, investment trusts, and bank loans may still hang over market. Conservative observers see possible technical rally in next day or two, but advise against trying for it; longs urged to protect positions with stop-loss orders. Dow made new post-panic low. There were no new yearly highs and 221 new lows. Leading executives in the farm equipment industry see major companies in the industry unlikely to cut dividends this year; point to large cash surpluses. Commodities strong. Wheat and corn up sharply; other grains also gain. Cotton up slightly. Copper buying remains quiet at 10 cents; future price trend said dependent on success of production curtailment. Iron Age notes continued caution in iron and steel buying, but increase in railroad and construction orders. General demand not seen improving as long as business sentiment remains this conservative. Machine tool orders were up 18% in Sept. over Aug., following 25% increase in Aug.; current business reported dull. Manufactured ice industry represents investment of $1.1B, sold 70M tons in last 12 months, up 12% over previous year. German tax receipts in 6 months to Sept. 30 were 4.581B marks, 10% below estimates. Charge for transporting a bushel of wheat from central Canada to Liverpool is 1 1/2 cents less via Vancouver then via Montreal, though the Vancouver route is 7,000 miles longer. Gasoline in Chicago wholesale market is 5 - 5 1/2 cents vs. 5 - 5 5/8 previously. NYSE seat sold for $220,000, unchanged from last sale. Candy sales by 435 manufacturing, wholesale, and retail cos. were $32.6M, up 47.2% from Aug. but down 14.1% from 1929. First 9 months down 7.8%. Autostrop Safety Razor shareholders to vote on proposed acquisition by Gillette. Companies reporting decent earnings: Merritt-Chapman & Scott (construction), Sweets Co. of America. Du Pont Q3 earnings were $1.05/share vs. $1.30 in Q2 and $1.80 in Q3 1929. Pres. Hoover appoints Colonel A. Woods. to develop organization to handle unemployment problem; former NY City police commissioner, organized employment agencies for placing veterans after the war. Cabinet Committee on unemployment work with Woods to coordinate cooperation of government agencies. Committee also to develop cooperative measures with industry and local bodies. Congress to be asked to remove some restrictions to permit expanding public works to the utmost this winter. Where possible, government departments and industries will be encouraged to “stagger work” by distributing available hours to more workers. NY City businessmen's committee to relieve unemployment gets favorable reception from many financiers and industrialists. NY Gov. Roosevelt says state will spend $22M on public works by end of the year. C. Hanch, Natl. Assoc. of Finance Cos. GM, estimates employment has fallen at most 10% below normal, with factory workers (about 20% of all workers) worst, other sectors much less affected by depression. Says this indicates why no large rates of default have appeared in installment sales. White House estimates number of unemployed at 3.5M based on April 1 Census report; says not trying to minimize situation but rather to afford a correct appreciation of actual conditions. Agriculture Dept. reports index of farm wages on Oct. 1 was 150, down 10 from July 1, down 24 from Oct. 1, 1929, and lowest in 7 years; supply of farm labor exceeded demand by over 40%. Daily wage of farm workers ranges from $1.10 in South to $3.50 in Northeast. Class 1 rail employees in July were 1.532M, down 2.08% from June and 12.22% from July 1929; wages were down less than 1% and 14.52%. British registered unemployed Oct. 13 were 2.189M vs. 2.176M prev. week and 1.215M in 1929. Editorial: Senator Glass apparently means to start another “money trust” investigation like the one in 1913 [investigating control of bankers and the NYSE over the economy; followed by Federal Reserve Act and 16th Amendment]. The NYSE can be expected to mount a better defense this time. One item requires clarification: the subject of “gambling in stocks” is likely to come up now as it did in 1913, but it was never defined. The main distinction is in the person, not the act: if reasonable judgement is used, then it's not gambling. Therefore, since reasonable judgement is always possible when trading stocks, the act per se is not gambling; Q.E.D. Dr. H. Schacht, former Reichsbank pres., says Germany will have to stop reparations payments unless other countries help her grow foreign trade; believes “some German government” will defy disarmament provisions of Versailles treaty unless allied countries disarm as specified in the treaty. US govt. sources say no countries have yet asked for moratorium on debt payments, not even for the allowed 2-year postponement of principal payments. Rep. E. Celler (Dem., NY) asks investigation of Navy aircraft carrier award to Newport News Shipbuilding over Brooklyn Navy Yard, charges secret bid leaked. “Buy-a-bale” movement proposed by Texas Gov. Moody to remove 5M bales of cotton from the market draws many responses. A couple of the more interesting ones: One Arkansas enthusiast proposed “burn a bale” movement, himself buying a bale and setting fire to it on a main street; movement ran out of steam when he was summarily thrown in jail for arson. W. Parker, economist for Fenner & Beane, has started using cotton cloth for everything possible, including writing paper. US estimated to spend over $200M/year on industrial research in 1,500 labs. AT&T through Bell Labs spends about $20M, with main lab in NY City; research mainly concerns communications, but byproducts include “electrical stethoscope” used to diagnose heart disease, “artificial larynx” enabling those whose without vocal cords to speak, and spectacular experiment bombarding nickel crystal with high-speed electrons to demonstrate electrons are particles, not waves. Plane being built secretly at Junkers factory in Germany reportedly designed to attain altitude of 35,000-40,000 feet, fly over 500 mph; trials at end of year. Hong Kong aviators try to relieve drought by dropping over 100 lbs of “chemical called deolin” into storm clouds; material is “supposed to induce refrigerating action when it penetrates the clouds, causing condensation and eventual rainfall”; attempt was unsuccessful. Notable art for sale includes Rembrandt's “Rabbi in a Wide Cap,” Turner's “A Dream of Venice,” and the finest collection of Gothic stained glass ever offered for sale in the US. The Metropolitan Museum is showing ancient and contemporary Mexican art; the MOMA is showing Corot and Daumier. Market wrap: Stocks succumbed to renewed pressure after Monday's rally; “fresh unsettlement” attributed to worries on price declines in various sectors. Oils particularly weak on gasoline price decline; coppers down on uneasiness over continued inventory buildup; Westinghouse plunged on bad earnings. Bears, encouraged by early success in isolated sectors, resumed aggressive operations throughout the list; declines gradually picked up momentum; GE and Goodyear hit new 1930 lows while majors including US Steel and American Can were under persistent pressure and specialties including Auburn, J.I. Case, and Foster-Wheeler plunged. Some irregular rallying toward market close. Bonds mixed: foreign govts. mostly higher; US govts. steady; corp. highly irregular, especially convertibles. Hayden, Stone & Co. point out that in the 33 year history of the Dow Jones average there have been 5 major bear markets, with 4 severe enough to be called panics; in none of these cases did the market break substantially below the panic low in the following year. This is no guarantee, but there's a logical reason for it: in the throes of panic, prices tend to be driven lower then they'll be when investors are calmer and more rational. Many of the Q3 earnings reports so far have been “fair reading,” especially in light of the pessimism going into earnings season. Some point out stock prices are still high compared to previous depressed periods, but interest rates are lower today than in the past so a lower return is inevitable. Some of the “best investment circles” are recommending high-grade bonds, anticipating money rates will stay low for a long time. Analysis of 14 leading fixed investment trusts shows 6 industrials held by all 14: du Pont, Eastman Kodak, GE, Natl. Biscuit, US Steel, Westinghouse. Rail freight loadings for week ended Oct. 11 were 954,874 cars, down 17,618 from prev. week and down 224,666 or 19% from 1929 week. Gasoline price declines have been widespread east of the Rockies; expected to translate to lower crude oil prices. Irving Trust Co. mid-month report sees mixed picture, with unmistakable improvement in retail and wholesale sales, in the textile industries, and in employment in some areas. However, department store and higher-priced goods sales are down, heavy industries remain weak, and business failures are up. F. Tilton, Asst. Postmaster General, says will ask Congress to raise first-class postage 1/2 cent to cut operating deficit; will hold off on layoffs due to depression. Companies reporting decent earnings: IBM, Chesapeake & Ohio Rwy. (against industry trend), BMT (NY subway), Wilson & Co. (meat products). T. Macaulay, Sun Life Assurance of Canada Pres., gives views on the depression: Severity has greatly exceeded anything thought probable 8 or 10 months ago, when it was argued trouble was confined to the stock market, inventories were not high, and there was no inflation in commodity prices. Cause of this unexpected severity has been a drastic decline in commodity prices, with disastrous results in many industries and countries. This decline can't be explained by oversupply in particular commodities, since it cuts across almost all; instead, it's an increase in general purchasing power of the dollar. This causes severe problems for borrowers (since debt payments are fixed) and industries (wages are difficult to reduce, so many companies become unprofitable). In the 1920's the US had a large influx of gold; the Fed. Reserve wisely prevented inflation then by selling bonds, providing an outlet for investment of gold deposits at banks. The Fed should now reverse this by buying bonds on the open market; as little as $500M would probably increase bank lending capacity by several billion and undo the current excessive deflation. Dr. R. Young of Commerce Dept. says shortage of gold not behind depression based on his study showing central banks had higher gold reserve ratios on June 30 than a year earlier. British chancellor of the exchequer P. Snowden says firmly opposed to protective tariff for Britain, would lead to Parliament becoming “a sink of corruption”; says tariffs great cause of depression and not a panacea for unemployment. British colonial office issues report critical of Zionists; Dr. C Weizmann, pres. of Jewish Agency for Palestine, resigns in protest. Editorial by T. Woodlock: Rails should have liberal dividend policies; public has no right to demand earnings be limited and also that part of those earnings should be withheld from dividends as reserves or for property investment. Building and loan business to celebrate 100th anniversary on Jan. 3; started with a few hundred dollars in Frankford, Pa., has grown to $9B in assets. Demand by short-sellers borrowing stocks in the loan market was easier, with few stocks still loaning at a premium. Many stop-loss orders were uncovered, allowing some short covering, but little evidence of heavy short covering was seen. Conservative observers continue to urge staying entirely out of market, noting failure of Monday recovery to hold. Some market observers see recent “extreme pessimism and apparent hopelessness” as indicating long term investors who don't pay that much attention to “nearby fluctuations” should begin to accumulate stocks. Commodities mixed. Most grains down slightly, corn down substantially. Cotton up slightly. Copper buying somewhat better on expected production curtailment. Money raised by foreign govts., corps. in US markets in first 9 months was $1.056B vs. $840M in 1929 and $1.654B in 1928; 94% was in dollar bonds. German conditions improved; funds are returning, and stocks have regained 2/3 of their postelection losses. Brazil extends emergency bank “holiday” declared after revolution broke out until Nov. 30. Gasoline stocks at refineries Oct. 11 were 36.276M barrels, down 849,000 in week; refineries operated at 66.2% vs. 66.5% prev. week; oil production was 2.371M barrels/day, up 3,950 from prev. week and down 532,450 from 1929. Oil industry support for tariff reportedly much stronger. Some small oil companies in Oklahoma cut crude oil prices by $.50/barrel; no reduction by majors. California has tremendous natural gas fields including Kettleman Hills, estimated to have 75 years worth; in past few years, large fraction of production was wasted. Total rail passenger revenues in 1929 were $873.6M, down 33% from 1920. Percentage of movie theaters wired for sound: Canada 70%, US 55%, worldwide about 33%. Visitor who said NY City will be a great town when they get it finished would now find it further from completion than ever. A record number of buildings are being torn down in 1930 - 1,598 in the first 8 months, and an almost equal number more by year-end; this will be about half the number wrecked in the 10 years ending in 1922. Wrecking is also becoming more expensive; it cost $900,000 to clear the old Waldorf Astoria from the Empire State Bldg. site. Editorial: Grand Rapids, Mich. is starting campaign to bolster public spirits, calling upon “each American to do his utmost in starting the wheels of commerce.” This recalls the “prosperity clubs” established in 1907 on the theory that depression was largely psychological. One danger of these efforts is that they may be overdone. “Repeated assurance that business is reviving loses its force after a while unless accompanied by tangible evidences of improvement.” Radio talks and sermons won't “make a man out of a job feel that he has had a square meal.” City govts. should back up their resolutions with genuine relief efforts and spending of cash reserves. Agriculture Sec. Hyde to ask Congress to make 1932 federal funds for road-building available immediately where states can use them to relieve unemployment. NY City businessmen's committee to relieve unemployment will make special appeal to Wall Street, since many currently unemployed were laid off from there. French police launch investigation of “panic-mongers” who spread alarmist rumors blamed for plunge in stocks last week; say will prosecute those engaging in operations intended to produce artificial rise or fall in value of securities. New record for flight between England and Australia set by C. Kingsford-Smith - time of 9 days, 23 1/2 hours beats old record by 5 days, 2 1/2 hours. New German railroad car driven by 400 hp airplane engine attains speed over 100 mph. Passenger sues a Western railroad for placing a car of hogs in front of his coach, claiming the odor “demoralized his digestive system, permanently incapacitating him”; asks $10,000 in damages. First section of new elevated highway along Hudson River from Canal Street to West 22nd to be opened Nov. 13. Market wrap: Instead of the anticipated flood of selling following the large Fri.-Sat. declines, an impressive recovery took place; majors including US Steel, Westinghouse, and AT&T opened with substantial gains and extended them as the session went on; seen as reflecting “influential buying” that first appeared during Saturday's highly unsettled trading. Active covering by “disconcerted” bears helped recovery in the general list. Stocks under recent pressure rallied briskly, including GM, GE, Sears, Fox Film, rails and utilities. Market closed near day's highs. Bond market volume considerably lower; prices opened weak but generally rallied through the day as trading slowed. Declines in leading stocks from 1929 highs, while dramatic, don't give a true idea of the damage suffered by most NYSE-traded stocks, hundreds of which have declined 50%-75% or more. Examples include Warner Bros., 80 1/4 to 16 1/8; Chrysler, 43 to 16 3/8; Glidden, 38 to 10 1/2; US Rubber, 35 to 11. “Banking conferences over the week-end” said to bring out overwhelming sentiment stocks had declined to attractive levels; extensive foreign buying reported; some recent buying by investment trusts (similar to mutual funds) also reported. J. Raskob [DuPont and GM exec., builder of Empire State bldg. ]: “there is no question in my mind that anyone with money should invest in good common stocks at the present time.” Sees depression at bottom, believes upturn will gather momentum much faster than expected. Harvard Economic Society says in past, only “great war or a threat to the soundness of the domestic financial structure” has been able to put off recovery after a decline like the current one; see nothing to indicate an upturn will not come; in fact, after decline as large as this one, upturn is typically sharp. Fed. Reserve member banks weekly report for Oct. 15: loans on securities down $10M to $8.258B, “all other” (commercial) loans up $61M to $8.606B. US and Canada motor vehicle production in Sept. was 230,888 vs. 232,840 in Aug. and 429,729 in Sept. 1929. First 9 months were 3.067M vs. 4.875M. Agriculture Dept. reports farm exports in year ended June 30 were $1.495B vs. $1.846B prev. year; were 32% of all exports vs. 40% average from 1925-29. More big company earnings: Western Union 1930 net about $9 vs. $15.11 in 1929 and lowest since 1921; Westinghouse Q3 net $1.12 vs. $2.40 in 1929. Companies reporting decent earnings: Commonwealth Edison, General Railway Signal (equipment said to create savings for railroads), Beatrice Creamery, Cream of Wheat Corp., Waldorf System (restaurants). T. Campbell, prominent Montana wheat farmer, meets with Hoover, predicts within 3 years Russia will be exporting 150M bushels annually. German report: Reichstag gives vote of confidence to Breuning govt. and adjourns to Dec. 3; $125M loan provides German govt. funds for winter expenditures; stocks up sharply; capital flight stopped and expected to reverse; strikes continue but govt. trying to mediate. Prospects after reassembly of Reichstag still obscure. Govt. expected to tackle crisis by reducing cost of production through wage cuts. Hitlerites believed to have lost prestige by recent conduct; “evidence is accumulating that a large number of those who voted the Hitler ticket are peace-loving citizens who did not desire disorder but a vigorous handling of the economic crisis under a strong and stable government”; however, Hitlerite campaign against the Young [reparations] plan remains very popular. Tardieu govt. reportedly ready to cooperate financially with neighboring countries using France's huge gold reserves. Loan to Italy under discussion; political crisis in Germany is holding up aid there. League of Nations committee established to study fluctuations in purchasing power of gold and their effect on the world economy says world likely to run short of gold in next several years; suggests measures including reducing amount national banks required to keep against money in circulation; also notes mal-distribution of gold attributed to postwar disorders, with US holding $1.5B surplus and 15 countries holding 90% of reserves. M.J. Meehan & Co. discontinues shipboard brokerage on ocean liner Berengaria. Argentina provisional govt. says previous administration systematically withheld financial picture from public, drastic reforms and spending cuts necessary. Potter County, Texas has field containing largest known supply of helium-bearing natural gas; rare “non-inflammable” gas is used for filling dirigibles operated by Army and Navy, and may come into commercial demand for use in airships like the Graf Zeppelin. NY City reports work on 8th Ave subway proceeding well, opening next fall seems assured. Interesting Barron's study comparing brokers' loans to loans on securities by banks finds brokers' customers always borrow more heavily at market tops and liquidate as the market is hitting bottom, while bank customers tend to be smarter money, i.e. to borrow more at bottoms and less at tops. It's may therefore be positive that since the market break in June, brokers' loans have been falling while bank security loans have been rising. Conservative observers still inclined to stay on sidelines until market proves ability to maintain gains; look for lows on leading stocks to withstand thorough test. Loan market for stocks sold short remained tight, with all active stocks loaning flat or at a premium. J. Harris of Harris, Upham & Co. notes large increase in buying by individual investors; says on Monday his firm tranferred total of over 53,000 shares of stock in 1,046 individual transfers. Suggests corporations should express belief their stock is undervalued by buying it back. Commodities firm. Grains up strongly. Cotton up moderately. Cocoa up sharply. Copper buying continues small at 10 cents, dull period expected. Canadian stats for 6 months ended Sept. 30: Customs duties were $73.6M vs. $97.8M in 1929; sales and stamp taxes $17.4M vs. $27.9M; income taxes $65.5M vs. $63.0M. Exports were $433.5M vs. $571.6M in 1929; imports were $514.7M vs. $660.3M. Gasoline in Chicago wholesale market is 5 1/8 - 5 5/8 cents vs. 5 1/8 - 5 7/8 previously. NYSE seats sold for $217,000 and $220,000, vs. last arranged sale for $230,000. Curtis Publishing (publishers of Saturday Evening Post, Ladies Home Journal) Q3 net down badly to $1.31/share vs. $2.32 in Q2 and $1.75 in Q3 1929. American Tobacco reports sales of Lucky Strike cigarettes in Sept. were up 655.4M vs. 1929, largest monthly increase vs. 1929 since January. Increase for first 9 months was 4.643B, vs. total increase for industry of 1.517B. Sinclair Oil stock about $14; cash on hand about $14.50/share; net quick assets about $19.50; 1930 expected earnings of about $1/share. Dr. C. Warburton, national drought relief committee chair., says credit associations beginning to function in drought areas to provide secured loans to farmers; Red Cross and communities are to help in cases of families in distress or unable to provide security. H. Schacht, former Reichsbank Pres., calls on Secy. of State Stimson; wouldn't comment on government affairs, but declared German people would try to do everything right as long as possible, and maintain calm and not upset the world by violence. O. Lee, Wisconsin Penitentiary Warden, notes very few men in prison have a good education: out of 634 admissions in the past year, only 5 had a university education and 154 hadn't gone beyond the fifth grade. Dornier DO-X [flying boat, world's largest plane] to start transatlantic service Nov. 3; airmail rates will be $1.50 for letter and $1 for postcard. New York Trust Co. opens new branch at 57 St. and 5th Ave. today; 15 story marble building of classic Greek design, with almost all fixtures made of aluminum to harmonize with white marble; main banking room decorated with 200 by 13 foot historical mural by G. Coale depicting New York since 17th century. Market wrap: Another flood of selling early, with new yearly lows in majors including GM, GE, New York Central, and Westinghouse, and the general list under heavy pressure. Selling was attributed to liquidation of margin accounts and renewed bear pressure based on lack of support in Friday's session. However, trading remained orderly with “scale buying” seen, and moderate rally developed at end of first hour. This improvement was wiped out in the second hour by selling wave starting in American Can and spreading through the list. US Steel hit new 1930 low; specialties including Gillette and Worthington Pump down sharply; utilities and oils weak. Bond market active; foreign governments continue strong; US govts. steady; corp. moderately lower, particularly convertibles. Week in review: Efforts at sustained stock rally unsuccessful, and prices plunged to post-panic low, though lower volume Friday indicated selling might be losing urgency. Foreign bonds rallied through week, led by Brazil; US govts. firm; corp. generally weaker, convertibles near year's low. German position seen considerably better on inability of Fascists to block Breuning govt., and new $125 loan; stocks rallied sharply. Continued unrest in Spain. Moderate rally in grains, while cotton hovered near yearly lows. Renewed caution seen by steel buyers after slight Sept. revival. Weakness in gasoline and oil prices. Experienced market observers see the current universal bearishness as very favorable; market psychology is exactly the opposite from that a year ago when bullish enthusiasm obscured unmistakable signs of a rapid decline in business. Many who were observant enough to sell in the final stages of the bull market are now taking advantage of deflated values and good yields to replace their holdings. F. Hobbs of Central Trust of Ill. says business improvement started in July, is now apparent in “operations of several hundred concerns”; sees full recovery in 1931. Total internal revenue collections in Sept. were $545.1M vs.$594.0M in 1929. BLS reports retail food prices Sept. 15 were up 1 1/3% from Aug. 15 but down 9 1/2 percent from 1929. Wholesale prices in Sept. were up less than 1/2% from Aug., first rise in over a year. Panama Canal traffic increased in first half of Oct., first gain since March. GM dealer sales in Sept. were 78,792 vs. 85,610 in Aug. and 146,483 in 1929; first 9 months were 1.009M vs. 1.676M. A. Sloan, Pres., says Nov. dividend payment secure; seen as reflecting confidence GM can maintain dividend under current conditions. Dow made new post-panic low. There were 2 new yearly highs and 221 new lows [Note: most of these new highs are in preferred stocks]. Editorial: Breuning's address to the new Reichstag was promising in that he made a firm stand against extremists on the left and right. Most significant to foreign observers was his position that Germany must make an honest effort to fulfill the Young plan (reparations) before asking for modification. It's encouraging that Germany showed a $250M trade surplus over the first 9 month, though at some cost to their internal economy. This suggests that with moderate improvements in world trade the Young plan payments may be sustainable. Editorial by T. Woodlock: Regulation of utility rates in US and England differs in important principle: in US, rate is set to be a reasonable return on investment, and utilities can never make more than this; in England, reasonableness is judged by worth of the service to consumers; for example, some utilities are allowed to increase dividends proportionally to reductions in rates. The US system seems driven by public alarm over excessive profits and concentration of economic power. Pres. Hoover meets with T. Campbell, prominent Montana wheat grower, and W. Ripley, Harvard economics professor. Chicago City Council Chairman starts drive to compel Pennsylvania and other rails to begin $14M construction program in city, and to campaign for other building projects to relieve unemployment this winter. Individual ownership of rail stocks has barely changed the past five years, but ownership by holding companies and by other rails have grown significantly. Weakness in bank stocks over the past week has been “somewhat of a surprise,” and disturbed some market observers. Since brokers' loans were already extremely low, it was evident much of the recent selling was liquidation of bank security loans; these declined sharply last week. Some bears now said to be spreading their short sales among different houses to avoid large blocks. Short sellers found stocks somewhat easier to borrow after Saturday's close; notably, US Steel was no longer loaning at a premium. Growing use of stop-loss orders thought to have contributed to selling. Some companies now have working capital approaching or greater than their market cap. Conservative observers advise remaining on sidelines, caution against going short as technical conditions may cause sharp recovery at any time. E. Filene says chief cause of world depression is producing goods in modern scientific factories but distributing them through an antiquated system. G. Murphy of G. M.-P. Murphy & Co. returns from extended European trip, attributes economic unrest to heavy taxation on most European nations. Commodities quiet. Grains unchanged to up slightly. Cotton almost unchanged. Canadian Bureau of Statistics estimates world wheat crop for 1930-31 at 4.471B bushels vs. 4.205B last year and 4.709B in 1928-29. Exportable surplus is 1.272B, of which Canada has largest portion at 264M; world requirements estimated at 752M. US Agriculture Dept. estimates corn production for 1930 in 14 countries at 2.619B bushels, down almost 21% from last year. Farm Board to open effort to reduce cotton acreage by 5.8M acres to 40M; will emphasize careful planning of substitute crops. Irving Fisher's index of 200 commodities for week ended Oct. 18 was 82.7 vs. 82.9 in previous week and 94.6 in Oct. 1929. 881 lumber mills reported orders for the week ended Oct. 11 were 3% above production of 256.6M feet; production is over a third below 1929 levels. US cigarette production in Sept. was 10.190B vs. 10.351B in 1929; large cigarettes were 550M vs. 872M; large cigars 524M vs. 592M. Cuban sugar producers reportedly approve plan to segregate 1.5M tons of 2.2M stored surplus; Pres. Machado calls for cooperation of Cuban producers and foreign interests to implement plan. NYSE seat sold for $245,000, down $10,000 from last sale. Companies reporting decent earnings: Allied Chemical. Standard Oil of Indiana's proposed 9% cut in Venezuela oil output seen as unlikely; Venez. output for first 9 months was 101.8M barrels vs. 101.6M in 1929. Hershey stock about 81, or about 10 times 1929 earnings; yield over 6%; first half 1930 earnings were slightly above 1929; Q3 earnings expected less favorable due to unseasonably hot weather, but Q4 expected well above 1929. Eastman Kodak anticipated to benefit from decline in silver, since it's world's largest private consumer. Sears, Roebuck 1930 sales expected to decline about 10% vs. 1929; decline in net expected to be worse due to higher overhead. Segal Lock & Hardware introducing new safety razor, says demand in this division continues very strong. Bendix Aviation to reduce instrument prices; new list includes: altimeter $18, airspeed indicator $10, turn indicator $20, compass $10. No Journal was published Sunday, Oct. 19, 1930. Once again, a collection of my favorite items of the week. These aren't a representative selection but just the ones that made me smile or take notice. Shameless plug of the week: Those of you in the New York area, check out this amazing film on Kandinsky by Grahame Weinbren that I did some work on. It's playing at the Guggenheim until January as part of their mega-Kandinsky exhibition. 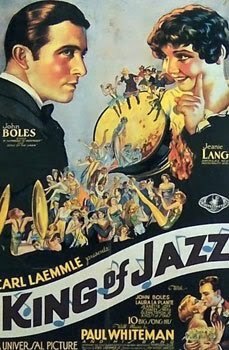 Special 1930 film treat this week: A jaw-dropping dance by “Rubber Legs” Al Norman from King of Jazz, an all-Technicolor film released April 1930. Warning - if squeamish, do not watch after eating - this guy does things with his legs that should not be possible. Also, after watching closely I'm pretty sure he invented the duck walk, the moonwalk, and several other as yet unnamed walks. [Note: Strangely familiar dept.] White House sees indications of a business revival; Pres. Hoover met Thursday night with Bernard Baruch to discuss the general business situation; this is one of a series of meetings with others including A. Sloan, GM Pres., and R. Whitney, NYSE Pres. [Note: Ay Chihuahua! dept.] H. Dougan, Great Northern Rwy. Pres., says Russian rails in need of modernization; doesn't see Russia becoming huge wheat exporter; believes current exporting is to pay for 5 year plan, and within a few years Russia will permit its people to eat more and more wheat until domestic consumption nears production. [Note: Strangely familiar dept.] Agriculture Dept. sees downward trend in business nearing end; positive indications noted in machine tool orders, in textile and shoe trades, and in residential construction; usual length of business recessions is 12 to 18 months, and current one has been in progress for about 15. [Note: Interesting stat.] Population of County of London in 1929 census was 4.430M, down 54,000 in last 8 years; birthrate in 1929 was lowest ever recorded, totaling 70,089. [Note: Strangely familiar dept.] Commerce Dept. foreign news report assembled from its foreign representatives: trend to economic improvement in many European and Far East countries. [Note: Strangely better than familiar dept.] BLS reports Sept. employment in 13 industrial groups was up 1% over Aug., with payrolls up 1.4%; first increase this year. [Note: Strangely familiar dept.] Commerce Dept. reports Sept. merchandise exports were $318M vs. $300M in Aug. and $437.7M in 1929; imports were $227M vs. $217M and $351.4M; second consecutive monthly gain for exports, and first increase in imports from Aug. to Sept. since 1926. [Note: For you non-Depression buffs, the first big bank collapse is in about 8 weeks.] Concerns that recent stock declines have weakened banks with high levels of loans on securities called absurd by “responsible New York banking circles”; most country banks reportedly more concerned with employing surplus funds than with their liquidity. While it's true security loans are close to record level, liquid assets are so enormous that freezing even a large number of security loans wouldn't imperil banks positions; banks also have large capacity to borrow from Fed. [Note: Sheer Genius dept.] Dr. Y. Henderson, Prof. of Applied Physiology at Yale, says beer and ale with 4% alcohol content not intoxicating from scientific standpoint. [Note: Strangely familiar dept.] Some major Q3 earnings somewhat down but still decent: AT&T $2.55/share vs. $2.77 in 1929; GE $.46 vs. $.59; Western Union $2.22 vs. $3.89. [Note: Hard work and thrift - that's crazy talk!] M. Traylor, First Nat'l. Bank of Chicago Pres., says prosperity won't return because of “a great increase in spending,” but because of “hard work, thrift, and wise investment”; says spending without saving was one of main causes of current depression. [Note: Crude oil. Is there anything it can't do? Dept.] N. Smith of Bureau of Mines believes some of the fractions refined from crude oil may eventually be used as shortening and cooking oils. No Journal Oct. 14 following Columbus Day. [Note: Cause and effect? dept.] Leading toiletry co. has created new advertising novelty - books of matches cleverly made into miniature replicas of tubes of shaving or dental cream. Pres. Hoover organizes Cabinet committee including Secretaries of Treasury, Commerce, Labor, Interior, and Fed. Reserve Board Gov., to survey unemployment situation; asks committee to “formulate and submit to me plans continuing and strengthening the organization of federal activities for employment during the winter.” Sees possible directions for action as cooperation with local govts., cooperation with industry, and direct federal employment in public works. White House sees indications of a business revival; Pres. Hoover met Thursday night with Bernard Baruch to discuss the general business situation; this is one of a series of meetings with others including A. Sloan, GM Pres., and R. Whitney, NYSE Pres. H. Dougan, Great Northern Rwy. Pres., says Russian rails in need of modernization; doesn't see Russia becoming huge wheat exporter; believes current exporting is to pay for 5 year plan, and within a few years Russia will permit its people to eat more and more wheat until domestic consumption nears production. AFL adopts resolutions asking for almost total exclusion of immigration during depressions. NY Telephone conducting extensive program of personal visits, leaflets, and advertising to prepare for addition of numeral to phone numbers on Dec. 16. Navy awards aircraft carrier contract to Newport News Shipbuilding; construction to take up to 40 months at cost of $15.6M. Transcontinental & Western Air to begin 36 hour service between Newark and Los Angeles Oct. 25; fastest previous service was 48 hours. Names of boys sheltered at Hiram House [a charitable settlement house near Cleveland] included Elijah Donkeyo, Dairy Lunch, Oldham Bacon, Pictorial Review Johnson, and Admiral Dewey. Girls' names included Marietta Pickle, Ivory White, Vaseline Malaria, and Queen Esther. Market wrap: Stocks continued downward, with new lows in most averages, many majors including GE, Sears, GM, New York Central, and “numerous other issues of lesser importance.” Weakness shown from open, with several rally attempts unsuccessful; selling increased materially in afternoon with weak final tone. “Nothing happened in the outside news to account for the continued weakness in the general list.” Bulls possibly discouraged by prospect of poor upcoming third-quarter earnings reports, and by end of period when seasonal improvement could be expected. Bond market irregular; foreign govts. strong, particularly South American; US govt. firm; corp. bonds react in sympathy with stocks. Trading remained orderly in most stocks, with plentiful bids “on a scale” down, indicating possible demand from short covering and “long-pull” buying. Particularly uncertain earnings outlook seen for automotive, steel, and oil companies. Dow made new post-panic low. There were 2 new yearly highs and 121 new lows [Note: most of these new highs are in preferred stocks]. Brokers' loans reported by member banks in NY City have declined $470M in the past 3 weeks to $2.752M, lowest total since Feb. 1927. There are now 24 corporations with assets over $1B; total assets of these are $40.9B, or about 12% of total US wealth. US debt reduction this year may be only the legal minimum of $445M, vs. about $800M annually in the past few years (debt is now about $16B). NY State savings banks continue trend of increased deposits; net gain in Sept. was $22.6M to $4.603B, vs. $18.7M gain in Aug. and $8.9M loss in Sept. 1929. “Egg prices crack” to lowest level in many years. Companies reporting decent earnings: Scott Paper, Vortex Cup, Peoples Gas, Light & Coke, Household Finance Corp., Bessemer Limestone & Cement. Company reports since Oct. 1: 58 companies reported higher earnings vs. 1929 and 67 lower; 163 dividends unchanged, 18 increased, 23 cut. War Dept. plans in the event of war include setting up a Federal industrial body with representation from finance, agriculture, industry, and labor, that would control uses of raw materials and fix prices for material and services. German report: Stocks have rallied strongly since Tuesday on new loan and expectation of small parliamentary majority for Breuning govt. Sentiment also improved by “universal ridicule” of “radical and impractical” Fascist financial program, seen as making it “obvious that they could never make their financial ideas count for much.” Capital flight seems to have eased, the mark is stronger, and it's generally felt the crisis is past. Spanish situation said to be improving; there are reports of economic plans to stabilize currency, and general elections may be held in Dec. for the first time since Primo de Rivera became dictator in 1923. Henry Ford raises wages in Berlin plant to 2.5 marks/hour from 2.4, says raise will lead to increased purchasing power. Pres. Hoover to open new $25M tunnel linking Detroit and Windsor, Ontario; construction took 29 months instead of planned 36, cost about 10% under budget. Navy to increase aviation maintenance personnel by 560 at naval air stations in San Diego and Hampton Road, Va. Expenditures to be cut $3M this year. G.M.P. Murphy & Co. see standard rail stocks and industrials as far better now than in pre-war depressions; rail stock yields are now 6.72% vs. 4.25% bonds. C. Dickey, speaking at Investment Bankers Assoc. convention, defends record of investment trusts (similar to mutual funds) over the past year; investors have suffered severe losses on these, but claims much of the decline in inv. trust values was due to their selling at a premium to asset value when in fashion in 1929, and now selling at a discount; claims decline in asset value has in most cases been less than decline in market averages. Commodities quiet. Grains up moderately. Cotton almost unchanged. Copper buying continues quiet; some concern over continued high production in Sept.
New NYSE securities listed in Sept. were $211.1M vs. $357.9M in August and $1.160B in Sept. 1929, of which bonds were $90M vs. $141.9M and $81.1M. Scrap steel in Chicago market continues decline to $11.25-$11.75/ton, down $0.25 from prev. price. Youngstown district steel operations seen continuing at 53% next week. Gasoline in Chicago wholesale market is 5 1/8 - 5 7/8 cents vs. 5 1/4 - 6 previously. US radio exports in first 8 months were $11.904M, up $15,050 from 1929. Production of silver by companies accounting for 87% of world total in 1929 was 16.5M ounces in July vs. 18.6M in June and 21.7M in July 1929. World production of copper in Sept. was 151,005 tons vs. 149,843 in Aug., and highest this year since January. German wholesale prices were down 16% in the past year, and retail prices down 6%. Manchester cotton market more active, prices steadier. Business from India higher, “Calcutta sent inquiries for dhooties and placed orders for fancies.” Good demand also seen from Africa; other markets including China, Near East, and Egypt continue quiet. NYSE seat sold for $255,000, up $4,000 from previous sale. AT&T stock about 200, yield 4.5%, earnings near $11 expected for 1930 vs. $12.33 in 1929; number of shareholders 570,000, up 70,000 in 1930. Union Carbide Q3 earnings expected substantially better than Q1 and Q2, though still below 1929; full year should be over $3/share vs. $3.93 in 1929. Packard (cars) reports Sept. retail deliveries 24% up from Aug., Oct. holding gain so far; seeing normal seasonal pickup those sales for first 8 months were down 35% from 1929.